If you’re wondering if the roofing material used on your home or business could offer better coverage, your question is valid. There are many different types of materials used for different types of roofs and geography has a lot to do with what will work best. This especially applies when living in a warmer climate like in the Southwest. Even though fall is here and we’re headed into colder weather, keep in mind that hot Southwest days will return sooner than you expect. If you want to be prepared for your roof to be in the best shape all year round, here are some of the roofing materials that are best to use in the Southwest region. Clay and concrete tiles are no strangers to roofs in the Southwest. Using these types of roofing materials have always been great options and offer several benefits. 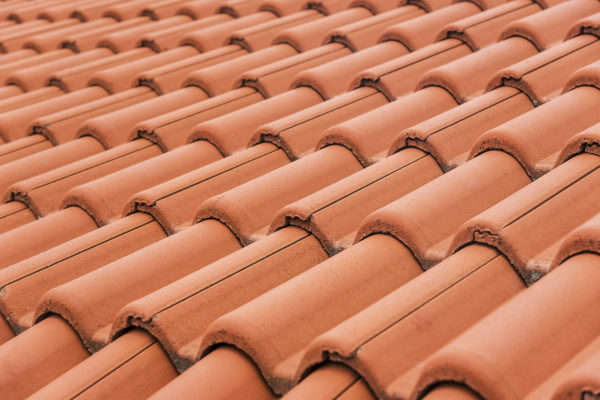 Clay and concrete tiles are more resilient to the heat and help keep your home cooler during those hot summer months. Although these materials tend to be a bit more expensive than other options, there are some worthwhile benefits. The lifespan and quality of these materials are worth the investment. In general, metal roofing tends to be low maintenance, which is a benefit on its own. Although this type of roofing is also more money up front, the low maintenance required once installed provides a balance financially. This specific type of metal roofing also a great option for hotter Southwest days. Heat isn’t absorbed as much with white metal roofing, keeping your home cooler and your electric bill down. Asphalt shingles are undoubtedly the most common used roofing material throughout the country. If you’re looking for a more cost-effective option, shingles are the way to go. Southwest residents looking into asphalt shingles should consider a lighter color to prevent heat absorption. Asphalt shingles also come in variety of styles, so you can choose how you want your roof to look and complement the existing look of your home. Atlas Home Repair is proudly located in Las Cruces, New Mexico and provides the highest quality services to fit your home and roofing needs. If you have questions about your home or need a roof repair or replacement quote, get in touch by calling us at (575) 522-0697 or fill out our contact form. We’re always happy to help!